The Symposium on Gender, History, and Sexuality has been a fixture in the Department of History at The University of Texas since 2002, offering a forum for graduate students and faculty to present papers and works-in-progress for discussion in a relaxed and collegial atmosphere. This year, Not Even Past will be providing a summary of the presentations and a list of further reading on their subjects. We will also be live tweeting the presentations on our Twitter feed. For a schedule of Fall 2013 events see their page on the History website. 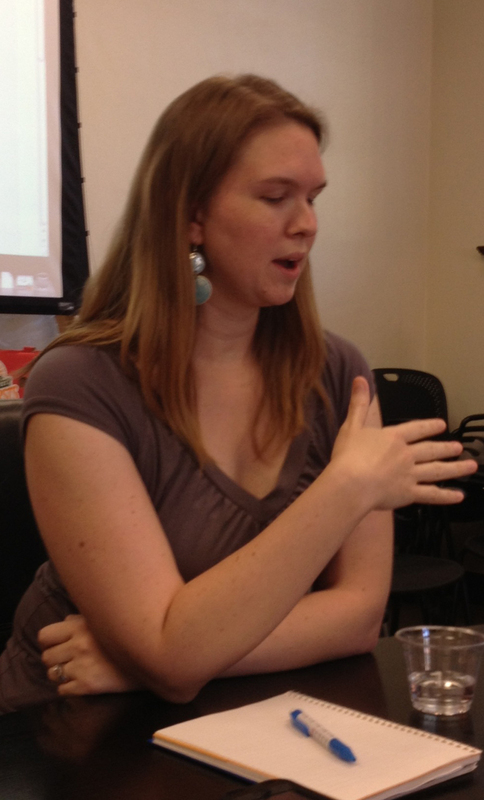 The roundtable began with Jessica Luther discussing her activism as part of the “Orange Shirts” movement during the summer of 2013. Luther was present at Democratic Congresswoman Wendy Davis’s filibuster and commented that it represented a particular moment of history “in the making.” With the use of social media, Luther was able to connect globally to those desperate for news “from the Capitol floor.” Her activism and role in “creating” history this summer coincides with her dissertation that examines the English empire, slavery, and the history of the body in Barbados. Women’s bodies, Luther argued, represent sites over which politicians attempt to exert control. Where some contemporary social commentators are surprised at the attention to abortion rights during an economic recession and politically divided period, Jessica said this is exactly what one would expect during times of crisis if one examines the historical record. Luritta Dubois shifted the discussion to the shared and complicated history of the forced sterilization of Chicana and Black women in twentieth-century Texas. The Black Liberation Movement saw women’s bodies as vessels through which new generations of black citizens would be born and women as this new generation’s mothers who could teach their children the ideals of black citizenship. Therefore, leaders like Malcolm X disapproved of contraception. Seeing this as a way to undermine minority groups’ power, the state not only made contraception available but also, under the auspices of programs such as Medicaid, American doctors sterilized 100,000-150,000 minority women – both black and Chicana – in the 1970s. Therefore, as Dubois’s project examines, women’s bodies and their reproductive capabilities were truly at the forefront of Texas politics; again proving the current issues in Texas are part of a larger trend in using women’s bodies to further political agendas. 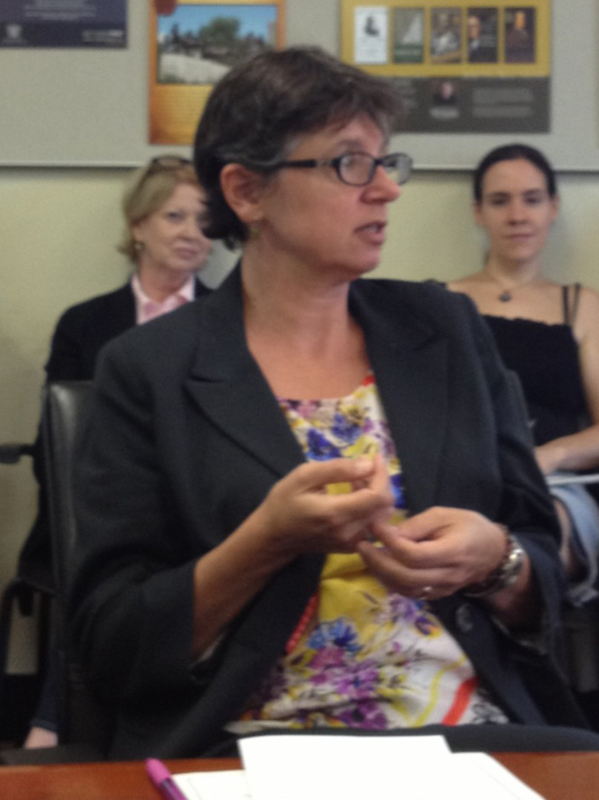 Lisa Moore concluded the presentation by describing her own experience with the filibuster while away in California, where she followed Luther on Twitter, agreeing that this truly was “history in the making” and that these issues resonate throughout time across regional and cultural planes. Explaining that poets historically served as political commentators for the public, Dr. Moore read her poem, “Cowgirl Filibuster,” which was inspired by Texas battle over the anti-abortion bill and by Wendy Davis. Word had gotten out about the bill. don’t ever have the votes to win a thing. by now, flow down the steps into the night. funeral, is ignored. Quarter to midnight. bangs on chairs, sings UT’s football fight song. in Canada, your parent’s permission. During the open discussion that followed, many more examples of the use of women’s bodies and reproductive issues as political platforms and agendas came to light and provided thought provoking questions. At the end of our discussion, the presenters and audience members agreed that the efforts of Congresswoman Wendy Davis, while extremely important, represent only one particular moment in the long history of the political use of women’s bodies as sites of control and subjugation. Historicizing the filibuster of the summer of 2013 allows us insight into one the most important political issues of our time.